As Regional Vice President of Operations for North Central Group, Amy oversees our entire portfolio of hotels working closely with Eric Rottier, Regional Vice President of Operations. Amy joined North Central Group in 1996 as a Guest Service Representative on a referral from her grandmother who was a Breakfast Hostess for one of our hotels within our portfolio at the time. Amy was convinced that this position would be temporary until she found something else, as she never envisioned herself in the hospitality industry. Several years later, Amy has worked as an Executive Housekeeper, Assistant General Manager, Sales Manager, and General Manager for two of our hotels. 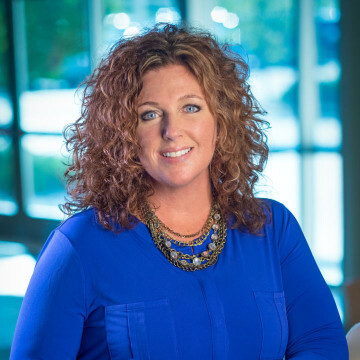 Amy is an example of the dedication North Central Group makes to each of its team members, as it relates to career pathing and promoting within. Amy’s current responsibilities in her Regional Vice President of Operations role include: achieving Excellence in Operations through and with her people by executing well thought out Sales and Marketing plans; ultimately driving market performance, achieving premier service scores by focusing on ways to build guest loyalty and encouraging her General Managers to foster an environment that promotes worthwhile work for all team members. Amy attended both UW Parkside and UW Milwaukee where she majored in Business Management. She obtained her CHA Certificate through American Hotel & Lodging Association in December of 2002. She also served on the Board of Directors for the Brookfield Convention and Visitor Bureau as a board member and President Elect from 2004 to 2007. Amy is currently a member of WH&LA Board of Directors since 2012. Beginning in January 2014 Amy served as the Secretary/Treasurer for the WH&LA Executive Committee and in 2015 will serve as Vice Chair. Lastly, Amy is the founder of the Wisconsin of Women in Lodging Chapter, which was successfully launched in 2013 with over 100 members in the first year membership campaign and was nationally recognized for growing membership so strong in the first year.